There are many potential causes for clogged ears, including sinus pressure, a change in air pressure, issues within the Eustachian tube or tubes, bacterial infections, wax buildup, pressure within the ear drum, and excess fluids. Depending on the causes, there are many different home remedies and medical treatments available to tell you how to unplug ear so as to get relief from this annoying and even painful problem. This process is done by taking in a deep breath, plugging your nose and blowing your nose. Damage can be done if you blow too hard, so you must be careful when trying this maneuver. Besides, chewing gum, yawning, and garglingare also good ways on how to unclog ears, especially if ears are clogged due to air pressure fluctuations. Take pure, organic, first cold-pressed and extra-virgin olive oil,and then warm it to a lukewarm temperature. Drop olive oil into ear canal and let it sit for 10 to 15 minutes, so it can soften any ear wax. Remove the oil and buildup by facing the affected ear downwards the ground and letting it drain slowly. If necessary, use a cotton swab to remove theremaining oil. This is a great way of how to unplug ear due to bacterial infection. Well mix equal amounts of apple cider vinegar and isopropyl alcohol. Apply this mixture to the affected ear, leave in your ear for 10 to 15 minutes and drain as you would do with warm olive oil. Then use a cotton swab to remove ear wax and excess fluids. Using a hot water bottle, fill it with hot water and wrap with a towel. Lean the affected ear down onto the hot water bottle. Allow heat to soften the excessive wax and rid of fluid buildup. You will most likely feel drainage begin within 5 to 10 minutes. If hot water bottle cools down before you feel a drainage sensation, you can reheat water and repeat the process. This remedy of how to unplug ears can also be done with a damp washcloth. Simply dampen cloth in hot water until it is warm but not too hot to touch. Apply as you do with the hot water bottle. Another way of how to unplug ear from wax and fluid build-up is to inhale steam. Boil water and pour into a large glass or ceramic bowl. You may use the water in the pan as long as you are careful not to burn yourself. Place a few drops of essential oils such as tea tree or eucalyptus into the bowl. Lean face over the bowl and drape a towel over your head and around the bowl. Inhale the steam deeply for about 10 or 15 minutes or until water is no longer steaming, if you prefer. You may also take a hot shower or bath and use essential oils in the water or in a sachet for the shower. This is another easy solution of how to unplug ears with warm water. Fill a syringe with warm water. Use a gentle but firm pressure to squirt the warm water into your ear canal to break loose any wax buildup. Be sure to have your ear as open as possible. And while squirting the warm water out of the syringe,make sure to move the syringe in order to cover all surfaces inside the ear and the canal. This process is also sometimes performed by a doctor. Hydrogen peroxide works well on solving how to unclog ears due to earwax buildup or bacterial infection. Apply it the same way aswarm olive oil drop. 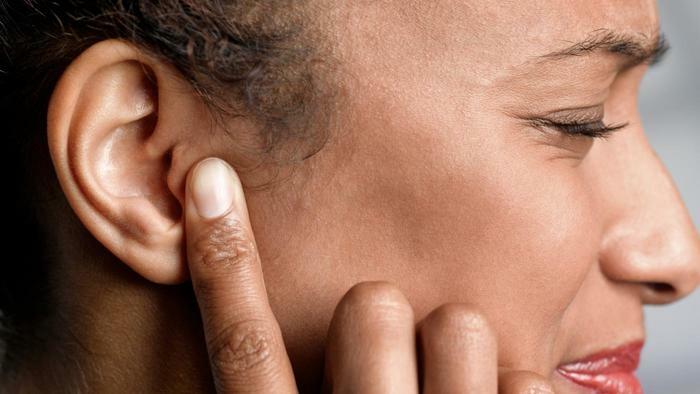 Hydrogen peroxide will create a fizzing sound within your ear. When the fizzy sound stops, the drainage will slowly start. If earwax is the reason for your clogged ear, it should flow out along with the peroxide. If not, use a cotton swab to assist in unplugging your ear. This process should not be done often, as extended use of hydrogen peroxide can cause damage to your ear drum. If the Eustachian tubes are clogged and do not drain correctly, your doctor may recommend having a surgery to place other tubes in your ear or ears. This will allow for fluids to drain as they are supposed to. One reason for having clogged ears is because of fluid build-up or swelling within your ear drum. An ENT (Ear, Nose, and Throat) specialist may perform an in-office type of surgery. A small sharp knife is inserted into your ear and makes a small incision into the ear drum. This will release pressure from swelling or buildup within your ear drum. This process of how to unplug ear should not be attempted on patients who have a history or likelihood of lowblood pressure. For these patients, fainting is likely. If the patient passes out while the surgical knife is still deep within the ear canal, that could be hazardous.